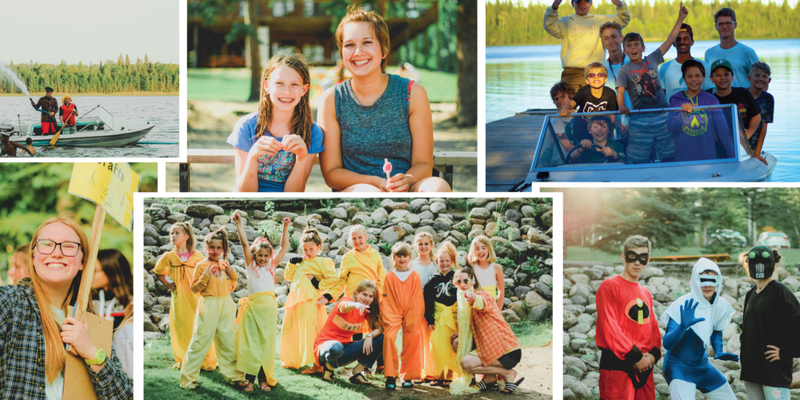 Camp Kadesh is looking for the staff of Summer 2019. If you are a person that is in love with the ministry of summer camp and understand how it can change the world... we are looking for you. The following is a breakdown of the various roles that we have. If you are new to Kadesh or just have questions feel free to contact our office. Wanting to work at camp this summer? We are looking for people who are seeking spiritual growth and are actively involved in the community around them. If you are applying for the first time after completing the LIT program and are in high school, you will be applying for a JR1/LIT2 position. Once an application has been submitted and an interview is complete, we will decide if we feel you are ready for a Junior staff position or if we feel you would benefit from the LIT2 program before becoming a staff member in the future. ** Indicated roles are listed as 2 month term, but have the opportunity to be combined with our Outdoor Recreation Program positions to create a 4 month opportunity for those looking for employment from May to August. Responsible to complete a variety of tasks and responsibilities as assigned by the Site Manager. The Program Team has been created to work with the Summer Camps Director to oversee all aspects of summer camp programming. This group, led by the Program Coordinators, will ensure all aspects for the summer program are planned, prepared and carried out on a daily and weekly basis. Program Team Members will include some people with specialized skills such as: Boat Drivers or special certifications (See also Lifeguard positon below) . Responsible for providing excellent food service to guests and staff and directly assisting the head cook as the second in charge of the kitchen. This person would be required to have some experience with the Camp Kadesh kitchen or other similar camp kitchen experience. This person should also be comfortable giving direction to others and have a willingness to oversee the kitchen when the Head Cook is not present. Responsible for assisting the cooks in the preparation, serving of food. This position is for energetic, fun people that love to serve behind the scenes and provide great service to our camp community. Click her for for information about out Leaders in Training (LIT1) program. The LITs are a vital part of our staff team and we have dedicated a whole area to that program and have a special registration process for them.